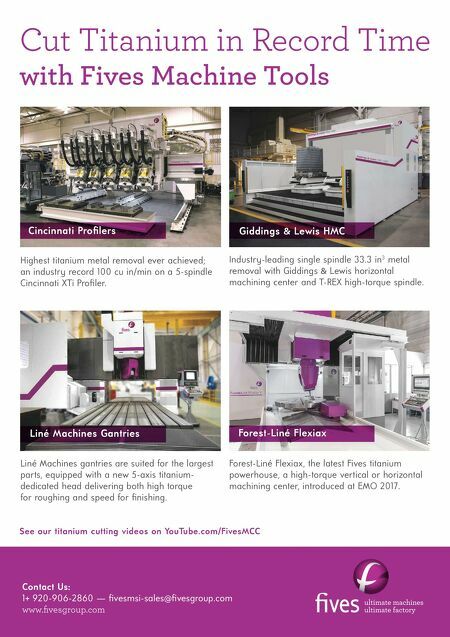 BETTER PRODUCTION Shops Using Technology 116 MMS October 2017 mmsonline.com can now get a full day of production programmed in under an hour," Mr. Yeomason says. He adds that, with the savings in programming time, the system paid for itself in just a few months. Remnant sheet management and common p u n c h i n g h ave p rov i d e d m o re a d va n t a g e s. Remnant sheet management enables the company to create remnants during nesting, which can be re-selected for orders to reduce material waste. Common punching further decreases waste by using a single cut to separate parts rather than leaving a skeleton between them. It also reduces the time needed to run nests. In 2012, the company continued its plan to replace its punch pre sse s by purchasing an Amada EM 2510 with a sheet loader. Jetcam software could still be u s e d o n t h e n e w machine, the company only had to purchase a replacement postpro- c e s s o r, w h i c h w a s installed in a day. It then used SCAP to retool its components, minimiz- i n g t h e d o w n t i m e o f the transition. HC Coils also sub- s c r i b e d to a n a n n u a l maintenance ser vice, a n d M r. Ye o m a s o n says the company has greatly benefitted from J e t c a m 's t e c h n i c a l suppor t and new fea- ture s gained through s o f t w a r e u p d a t e s , such as a new search facility, which he says " s a v e d a f a n t a s t i c a m o u n t o f t i m e f o r repeat orders." 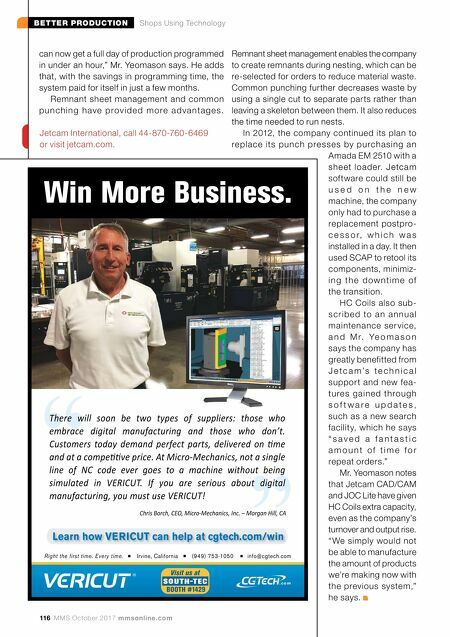 Mr. Yeomason notes that Jetcam CAD/CAM and JOC Lite have given HC Coils extra capacity, even as the company's turnover and output rise. "We simply would not be able to manufacture the amount of products we're making now with the previous system," he says. Jetcam International, call 44-870-760-6469 or visit jetcam.com. .com " "